With the closest beach over two hours away, you’ll need to visit one of Paris‘s many swimming pools if you want to don your speedos and crawl, stroke or butterfly to your heart’s content. 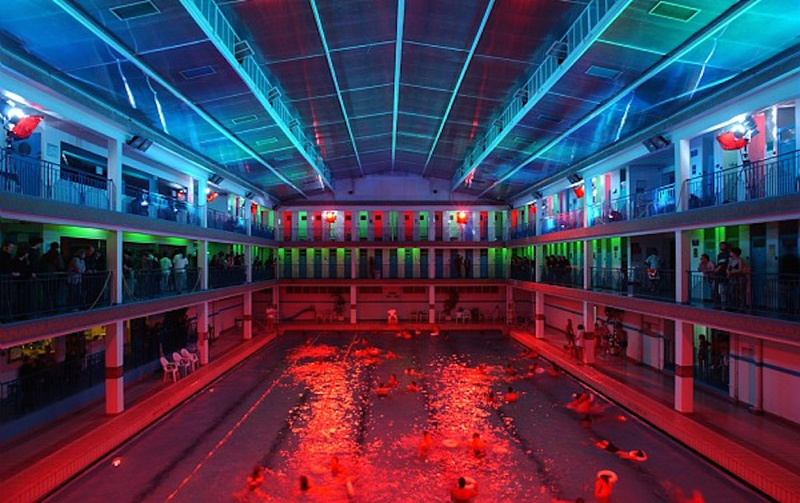 Here, we go through the six most beautiful municipal pools Paris has to offer. Excluded are private pools with exorbitant access fees – the following will only set you back €3-5 for a single entry. Located in the Latin Quarter, this 25-meter pool is one of the most adored swimming pools in Paris. With night openings (pictured) allowing swimmers to splash all the way until midnight, the pool has it all. The internal architecture features white and blue décor with yellow-blue Aztec murals, a sunroof, and changing units facing inwards located on two floors surrounding the pool. 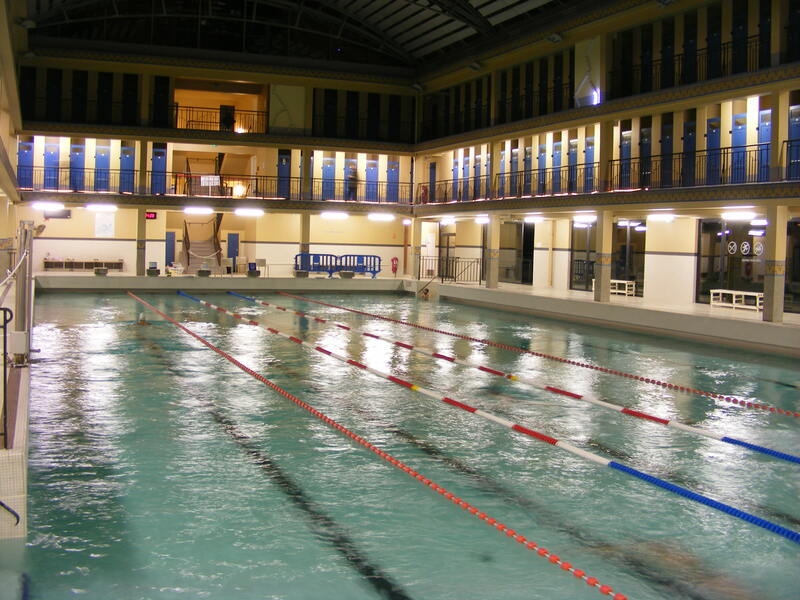 Tucked behind the Buttes-Chaumont, this 33-meter pool sports a very similar interior design to the Piscine Pontoise. Also with a sunroof, but with additional windows on the sides, it benefits from plenty of natural light. Next door is a shallower relaxation pool for post-swim muscle therapy. Possibly the pool with the most unique layout on this list, the Butte Aux Cailles boasts yellow, red, and black upper walls with white arches along its length. It seems like it was inspired by sci-fi-esque architecture, yet at the same time, the color scheme gives it an intimate classical Southern European feel. 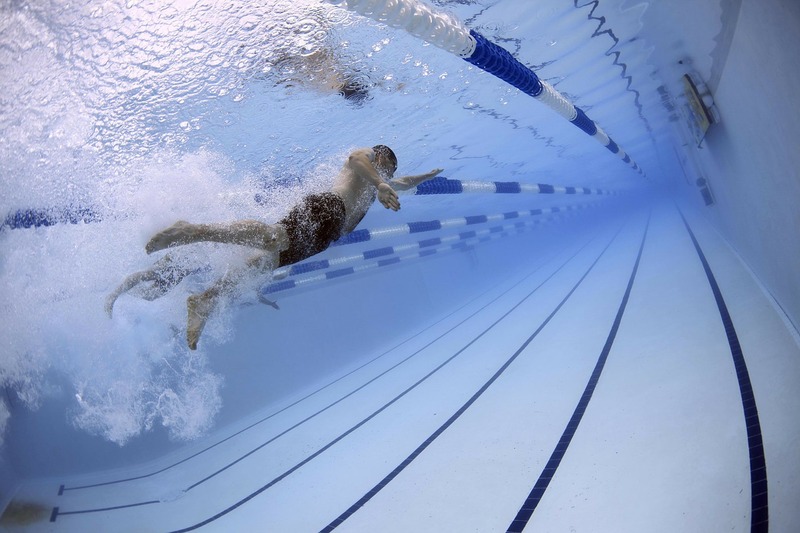 At 33 meters, it is slightly longer than the average pool. A favorite of competitive swimmers and athletic types thanks to its Olympic standard 50-meter length, this pool regularly hosts high-profile championships, most recently a national schools tournament. With a huge retractable arched sunroof that looks fantastic open or closed, this pool is a sight for the eyes, and its length a test for your swimming skills. Located on a barge floating on the Seine, this pool is an experience like no other. 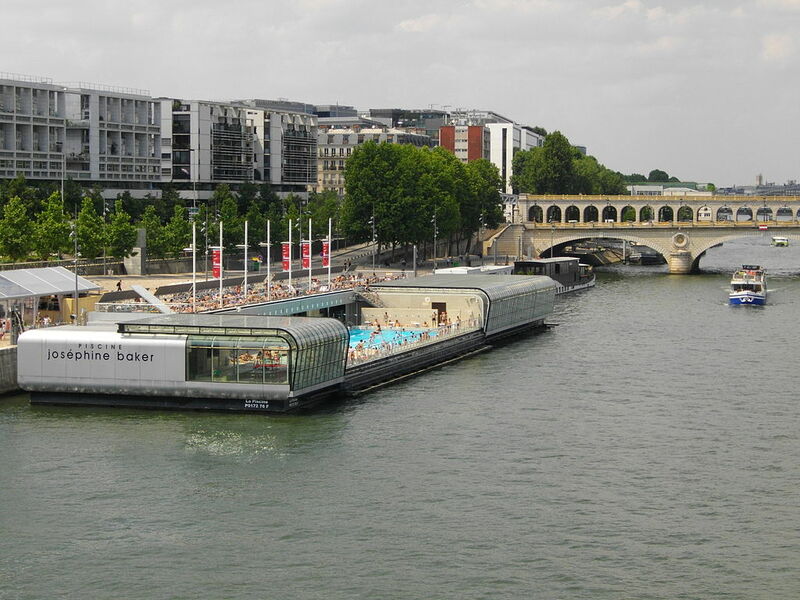 In the summer, it is an open-air lido, and people flock there for the view of the Seine, and perhaps partly as a substitute for swimming in the Seine itself. Fully decked out with pools for swimming (25-meter length) and paddling, a jacuzzi, a sauna, and gym, this is one not to miss, especially as summer is now well and truly upon us. The simple and elegant design of this pool lands it a place on our list. The white and light brown décor and huge white buttresses lining the walls give this place a larger-than-life feel. Its 33-meter length adds to this feeling, and it can be found in an already aquatic area, alongside the Canal Saint-Denis.